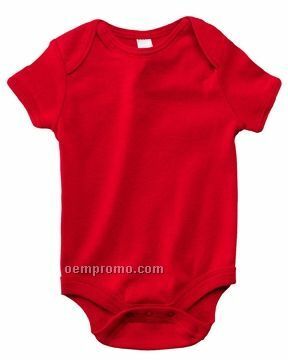 Description: Infant Short Sleeve 100% Cotton 1 x 1 Rib Knit Onesie. 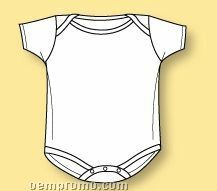 Sizes are: NB (0-3 mos), S (3-6 mos), M (6-12 mos), L (12-18 mos). Complies with CPSIA. 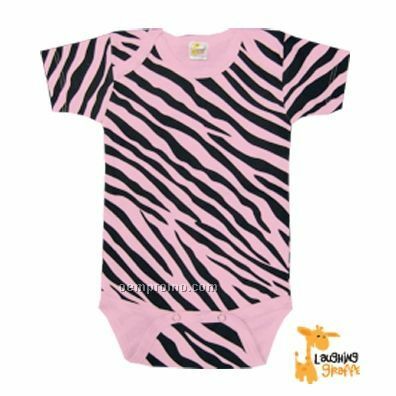 Description: Laughing Giraffe Infant 100% Interlock Knit Cotton Short Sleeve Onesie - Pink Zebra Print. 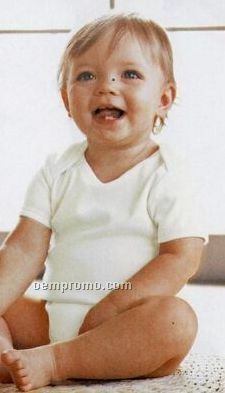 Size 3 (0-3 mos), 6 (3-6 mos), 12 (6-12 mos), 18 (12-18 mos). Complies with CPSIA. 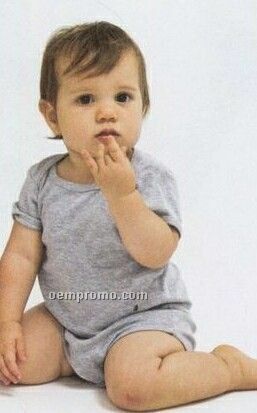 Description: Boutique quality garment designed for maximum comfort and fit on infants of all sizes. Also available in long sleeves. 100% Baby Rib Cotton construction. Neck band designed for easy on and off. Shrinks one size if put in dryer. 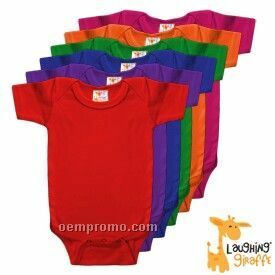 Description: Laughing Giraffe Infant 100% Interlock Knit Cotton Short Sleeve Onesie - Bright Colors. 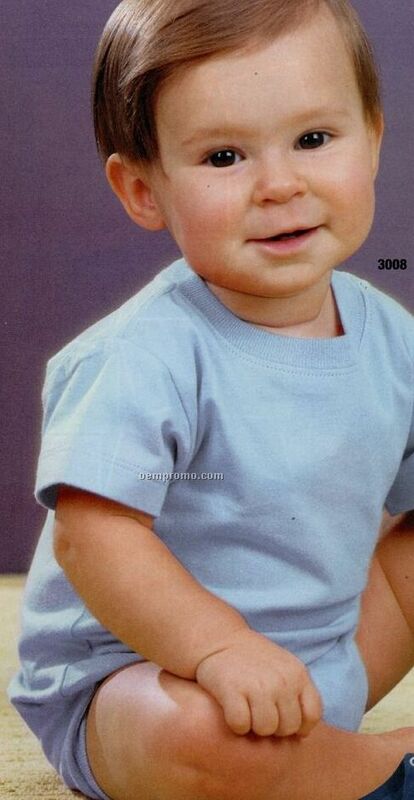 Size 3 (0-3 mos), 6 (3-6 mos), 12 (6-12 mos), 18 (12-18 mos). Complies with CPSIA. 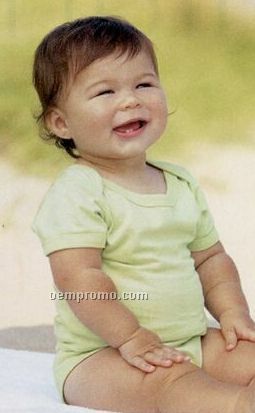 Description: Toddler lap shoulder short sleeve creepers are all hand-dyed - no two items are alike. 100% Cotton garment. Procion cold water fiber reactive dyes. All items are preshrunk when shipped; we recommend ordering one size up. Wash in cold water and tumble dry. Description: 100% combed cotton interlock, snap crotch, bound sleeves and collar. Description: 100% Cotton, snap closure. 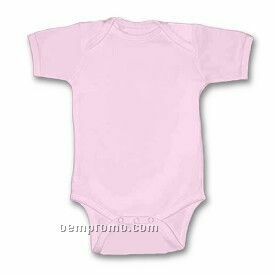 Description: 5.5 oz., 100% super soft combed ringspun cotton jersey knit Taped shoulder to shoulder Coverstitched rib knit collar Double-needle stitched ribbed binding on leg openings Double-needle stitched sleeve Reinforced three snap closure. Description: Keep baby as snug as a bug in a rug in this soft cotton rich mini waffle weave thermal creeper. 4.5 Oz. 60/40 cotton/polyester. 3/8" Overlock binding at envelope neck and sleeve. 3/4" Binding trim at leg openings with 3-snap closure. 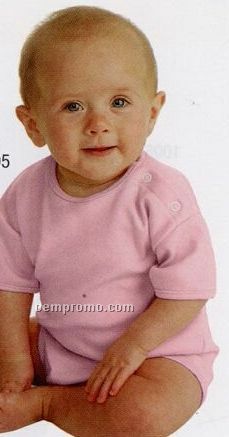 Description: 5.8 Oz., 100% pre-shrunk combed ringspun certified organic cotton. 3/8" Overlock binding at envelope neck and sleeve hem. 3/4" Binding trim at leg openings with 3 snaps. 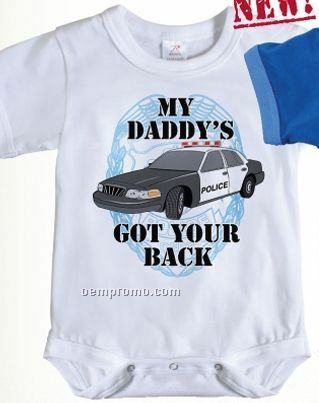 Infant sizes 3/6, 6/12, 12/8, 18/24 months.